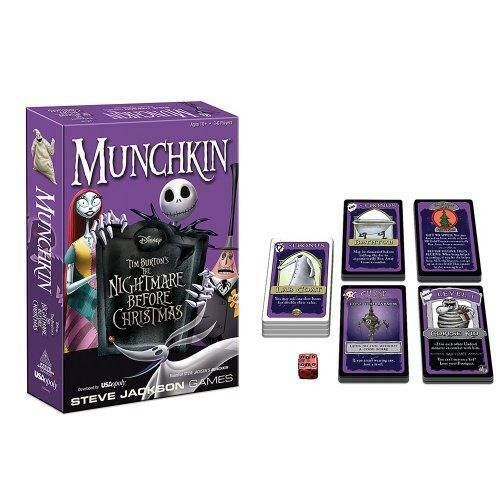 Fans of The Nightmare Before Christmas and Munchkin have an entirely new ghoulish world to immerse themselves in. 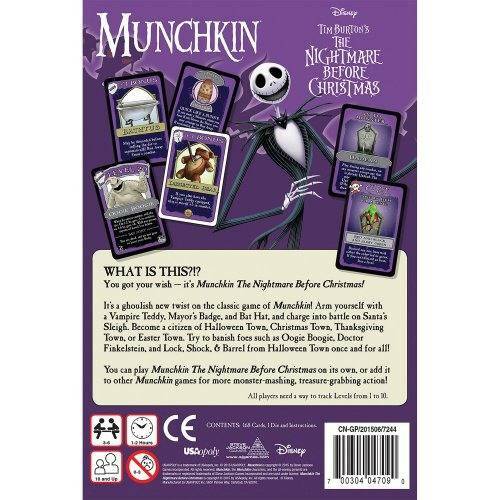 Play as a citizen from Halloween Town, Christmas Town, Thanksgiving Town or Easter Town. 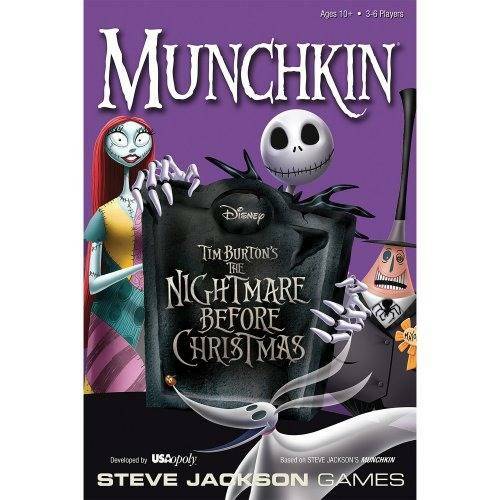 Battle and banish foes like Oogie Boogie, Doctor Finkelstein and Lock, Shock & Barrel from Halloween Town. Charge into battle on Santa's Sleigh as you wield new weapons, curses and treasures. 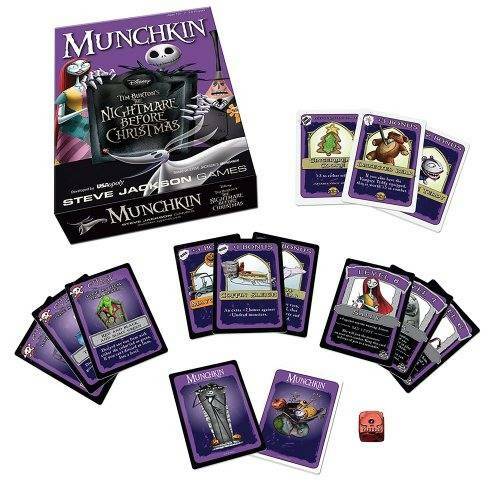 You can play Munchkin The Nightmare Before Christmas on its own, or add it to other Munchkin games for more monster-mashing, treasure-grabbing action!